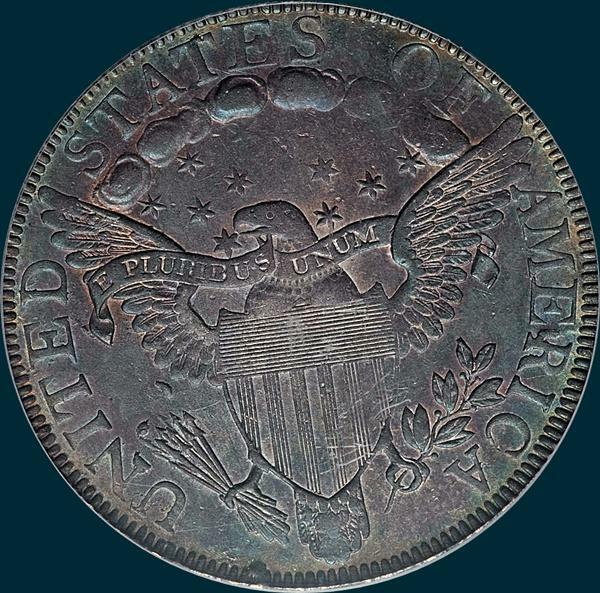 A tough die marriage in higher grades than XF, with most examples at VF or lower. 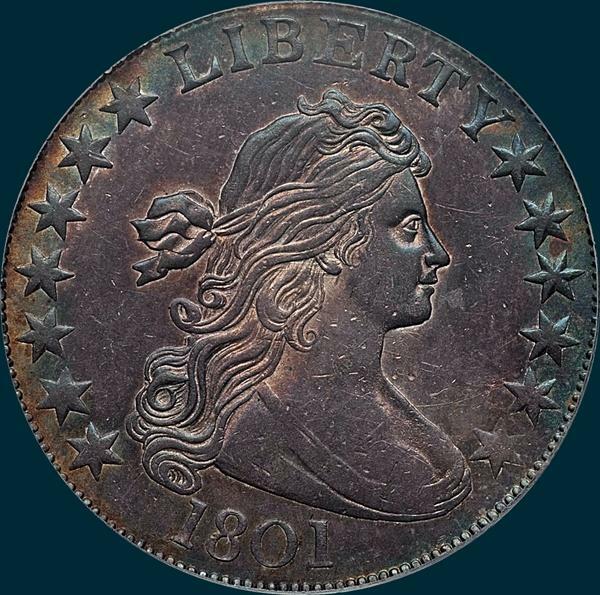 The Pogue coin (MS63) that sold in 2015 may be finest. Reverse-A2 close to wing but does not touch. 5 berries, 13 arrows. Numerous die defect lumps including a large onebetween ER, another joins three segments of milling below the arrow shafts. Others at arrow points, left base of N, above arrow points and below left wing. Many smaller ones apparently from a rusted and pitted die. Clash lines in clouds, at OF, below right wing on most specimens.